Apple CEO Tim Cook speaks during the Apple World Wide Developers Conference in San Francisco on June 8, 2015. Apple Music has steadily built its subscriber base despite a few stumbles when it launched. 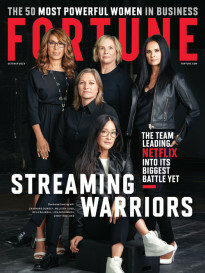 But now one analyst thinks the streaming service could be knocking on the door of one of its biggest rivals by the end of next year. A new report from media analyst Mark Mulligan of MIDiA Research predicts that Apple Music will end 2015 with just under 8 million paying users and then that total should more than double by the end of 2016 to approach 20 million. Some users complained about Apple Music’s design and some initial bugs when it went live in June. But, the tech giant’s streaming service said it had picked up a total of 6.5 million paid subscribers by late-October, with another 8.5 million users who were still enjoying the free trial version of the service at that time. 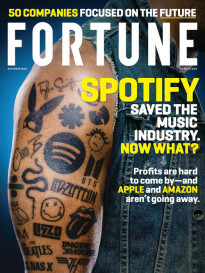 Apple’s (aapl) biggest competitor in the streaming music space is Spotify, which said in June it had 20 million paid subscribers and 75 million users overall. Mulligan writes in his report that Spotify will continue to grow its subscriber base over the next year and will still end 2016 as the leading music subscription service, only with Apple hot on its heels. “The wildcards in the equation are whether Apple can do a better job of pushing users from iTunes Radio to Apple Music and what happens when Spotify restates its subscriber number to reflect the impact of $1-a-month 3-month trials,” Mulligan writes in his “Predictions [for] 2016” report. Spotify recently launched a 99-cent, three-month trial option in an effort to attract even more paid subscribers. Apple Music was able to hang on to roughly 60% of the 11 million users who signed up for its initial free, three-month trial when the service launched at the end of June, successfully converting about 6.5 million of them into paid users.